Guru Padmasambhava was also known as Guru Rinpoche is widely venerated as a “second Buddha” by adherents of Tibetan Buddhism in Tibet, Nepal, Bhutan, the Himalayan states of India, and elsewhere. The Ancient Monuments and Archaeological Sites and Remains Act, 1958 defines Ancient Monument as any structure, erection or monument, or any tumulus or place of interment, or any cave, rock-sculpture, inscription or monolith which is of historical, archaeological or artistic interest and which has been in existence for not less than 100 years. Vishnu Temple in Kotali, Pithoragarh district, Uttarkhand. Saint Tyagaraja was a renowned composer of Carnatic music. He has composed thousands of devotional compositions, mostly in Telugu in the praise of Lord Rama, many of which remain popular today. He saw the reigns of four kings of Maratha dynasty — Tulaja II (1763-1787), Amarasimha (1787-1798), Serfoji II (1798-1832) and Sivaji II (1832-1855), but he served none of them. Saint Muthuswami Dikshitar was a South Indian poet and composer. His compositions are noted for their elaborate and poetic descriptions of Hindu gods and temples and for capturing the essence of the raga forms through the vainika (veena) style that emphasises gamakas. His compositions are predominantly in Sanskrit and he has also composed some of his Kritis in Manipravalam (a mixture of Sanskrit and Tamil). Saint Syama Sastri was a musician and composer of Carnatic music and was the oldest among the Trinity of Carnatic music. Even though he did not compose so many Kritis, his compositions are still well known due to the literary, melodic and rhythmic proficiency observed in them. He composed in a more formal form of Telugu which borrows heavily from Sanskrit and there are also a number of Kritis in Tamil attributed to him. Most of his works propitiate the goddess Kamakshi. Why in news? Tamil Nadu has announced the setting up of country’s first music museum with assistance from the Central government in Thiruvaiyaru which is the birthplace of Saint Tyagaraja, one of the Trinities of Carnatic music. It is 700 verse Hindu scripture in Sanskrit that is part of Hindu epic Mahabharata. It is set in narrative framework of dialogue between Pandava prince Arjuna and his guide and charioteer Lord Krishna. 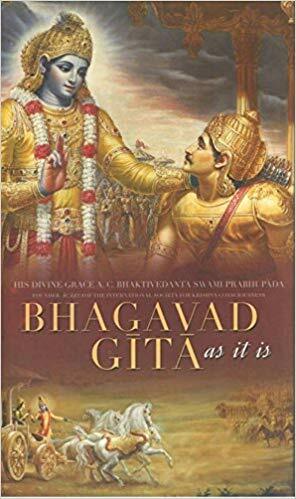 The Bhagavad Gita presents a synthesis of the concept of Dharma, theistic bhakti, yogic ideals of moksha through jnana, bhakti, karma, and Raja Yoga and Samkhya philosophy. It is being organized to commemorate birth of ‘Srimad Bhagwat Gita’, the sacred scripture containing invaluable advice of Lord Krishna that he proffered to Arjuna, third Pandava in battlefield of Kurukshetra on first day of famous 18-day battle in Mahabharata. It is held mainly on 11th day on Shukla Paksha (waxing phase of moon) of Margashirsh month (November – December) as per traditional Lunar calendar i.e. Shukla Paksha Ekadashi day of Margashirsha month. It is jointly organized by Kurukshetra Development Board, Haryana Tourism, District Administration and Information and Public Relations Department, Haryana. On side-lines of this event, about 200 famous painters from across the country will draw paintings on walls of Kurukshetra on the theme of the Mahabharata under the ‘paint-the-wall’ competition. Artists from India as well from Mauritius, Indonesia, Iran, Turkmenistan and Russia will perform during the annual festival. These two are the martial art forms from the Indian state of Manipur. In Manipuri language thang means sword and ta means spear. Thang Ta is name for the ancient martial practice known as Huyen Lallong . The unarmed aspect of Thang Ta is named as sarit sarak. The temple is situated atop a hill in the deep forests of the Periyar Tiger Reserve in the Western Ghats in Pathanamthitta district. This ancient forest shrine, situated 210 km from Kochi, draws pilgrims from different parts of the country. Recently, with the development of road transport and communication facilities, Sabarimala has been witnessing a phenomenal increase in the number of pilgrims. The Travancore Devaswom Board, administers the temple. The Travancore Devaswom Board estimates that around 5 crore devotees had visited the temple during the last pilgrim season. The season normally begins in mid-November and ends in January. Konark Sun Temple is a 13th-century sun temple at Konark on the coastline of Odisha. 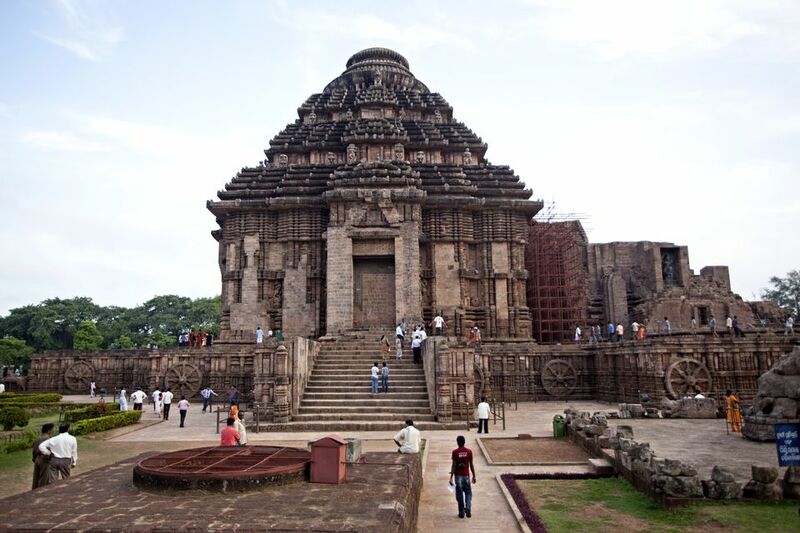 The name Konark derives from the combination of the Sanskrit words Kona (corner or angle) and Arka (the sun). Also called the Surya Devalaya, it is a classic illustration of the Odisha style of Hindu temple architecture. This temple was called the “Black Pagoda” in European sailor accounts as early as 1676 because its great tower appeared black. Similarly, the Jagannath Temple in Puri was called the “White Pagoda”. Both temples served as important landmarks for sailors in the Bay of Bengal. Declared a UNESCO world heritage site in 1984, it remains a major pilgrimage site for Hindus, who gather here every year for the Chandrabhaga Mela around the month of February. Rajarajesvaram or Peruvudaiyar Koyil, is a Hindu temple dedicated to Shiva located in Thanjavur, Tamil Nadu. It is called as Dhakshina Meru (Meru of south). Built by Raja Raja Chola I between 1003 and 1010 AD, the temple is a part of the UNESCO World Heritage Site known as the “Great Living Chola Temples”, along with the Chola dynasty era Gangaikonda Cholapuram temple and Airavatesvara temple that are about 70 kilometres. 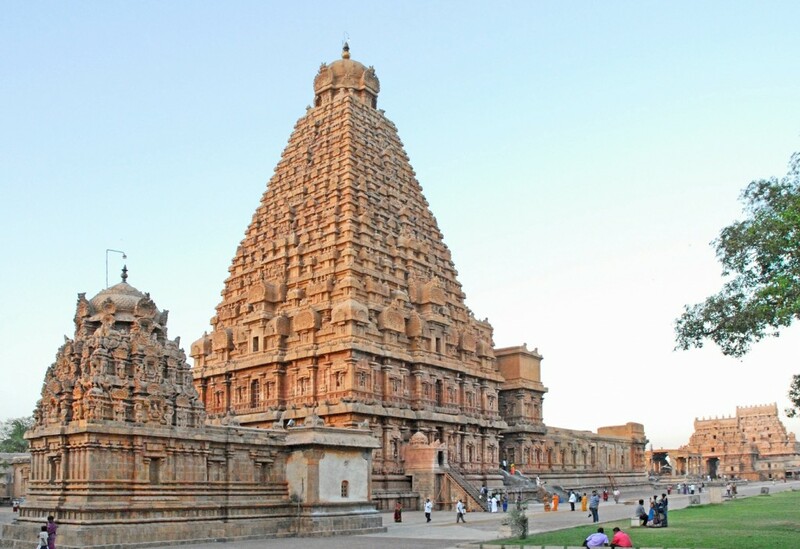 Built out of granite, the vimana tower above the sanctum is one of the tallest in South India. 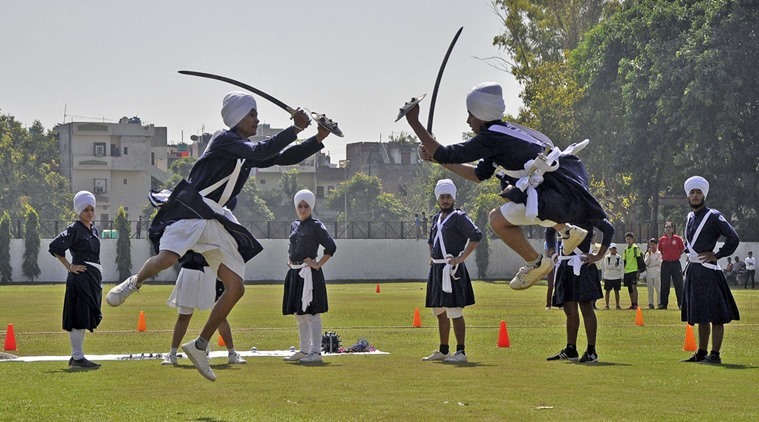 The Punjabi name gatka properly refers to the wooden stick used. Lohagarh Fort (Iron fort) is situated at Bharatpur in Rajasthan, India. It was constructed by Bharatpur Jat rulers. 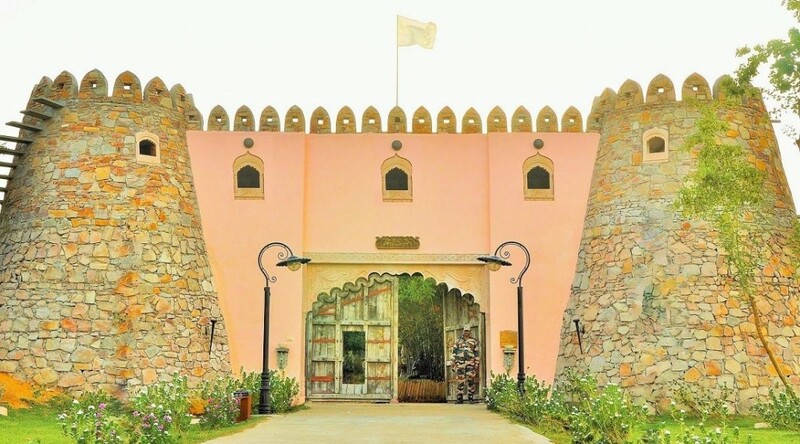 Maharaja Suraj Mal used all his power and wealth to a good cause, and built numerous forts and palaces across his kingdom, one of them being the Lohagarh Fort (Iron fort), which was one of the strongest ever built in Indian history. The inaccessible Lohagarh fort could withstand repeated attacks of British forces led by Lord Lake in 1805 when they laid siege for over six weeks. Of the two gates in the fort, one in the north is known as Ashtdhaatu (eight metalled) gate while the one facing the south is called Chowburja (four-pillared) gate. The Gateway has paintings of huge elephants.